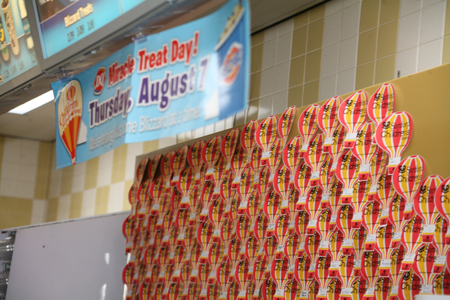 On Miracle Treat Day (MTD) participating Dairy Queens across the country donate $1 or more for every Blizzard® sold to their local Children’s Miracle Network Hospitals. 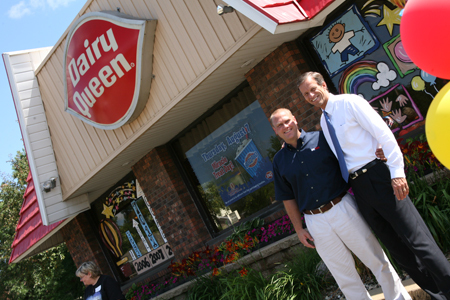 For the past eleven years, the Madison Dairy Queen has sold more Blizzards® than every other participating Dairy Queen. 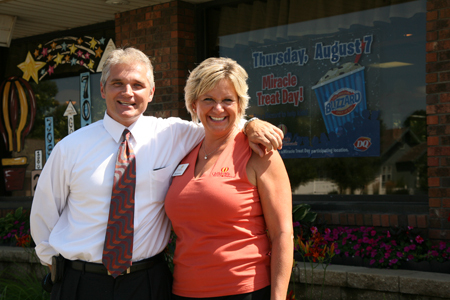 In 2006, the first year that Miracle Treat Day was introduced, the Madison DQ sold 3,083 Blizzards® in one day after owner DeLon Mork challenged his team to sell 1,000. 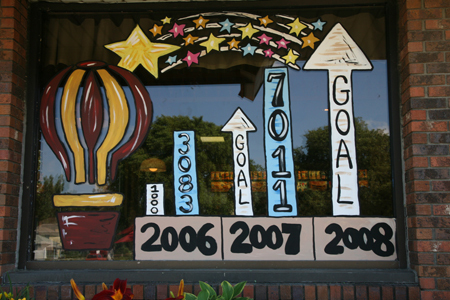 Here’s a look at the Madison DQ’s Miracle Treat Day Blizzards® counts over the years. 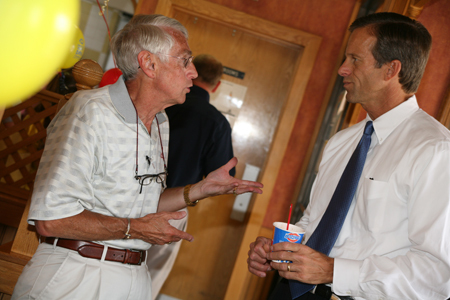 In 2011, the event reached new heights when owner DeLon Mork and Madison Police Chief Chuck Pulford jumped out of a plane after exceeding the 2011 goal and selling 25,648 Blizzards®. The record-breaking sales have continued, as well as the support for this great cause and celebrations. 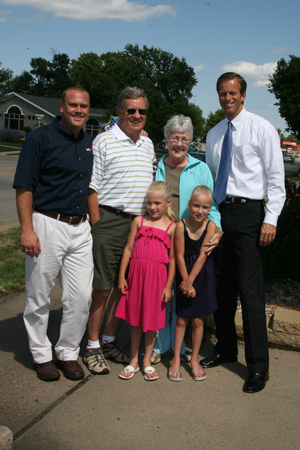 In 2013, Mork was joined by current South Dakota Governor Dennis Daugaard and then by Fire Chief Randy Minneart in 2014 for the skydive. 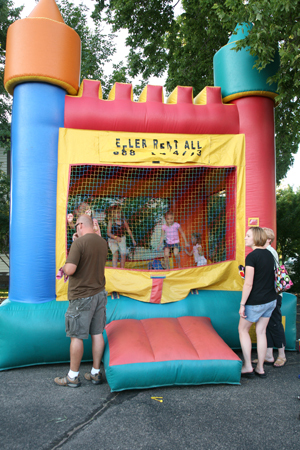 In 2015, Mork and Bud Postma made the jump celebrating the 10th year of MTD. 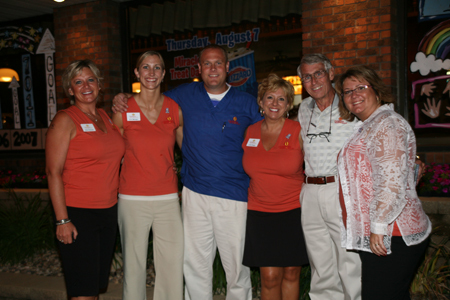 Dairy Queen has partnered with the Children’s Miracle Network Hospitals (CMN) since 1984 and as of 2016, DQ has raised over $115 million* for CMN through donations from DQ fans and franchisees. That number continues to grow. 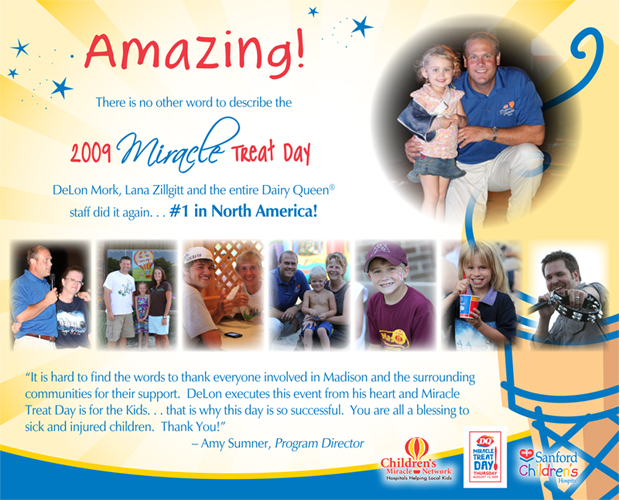 In 2010, the national Miracle Treat Day collected $5.5 million on Blizzard® sales alone. 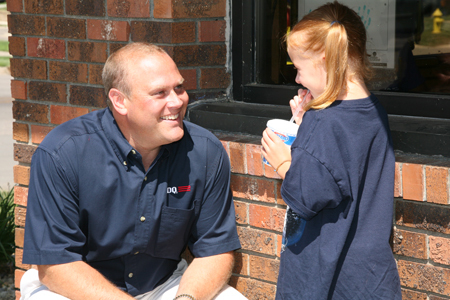 After the 2015 Miracle Treat Day count, the Dairy Queen of Madison, SD had sold over 250,000 Blizzards in support of MTD and CMN. 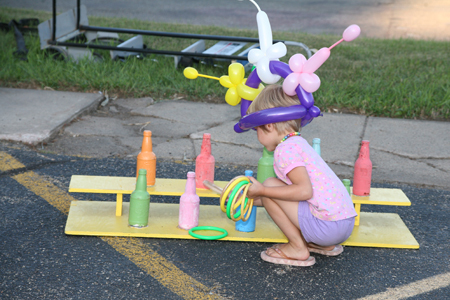 The Children’s Miracle Network Hospitals provide care to over 10 million children each year. Their mission is to generate funds and awareness programs in partnership with and for the benefit of member hospitals/foundations and the children they are privileged to serve. 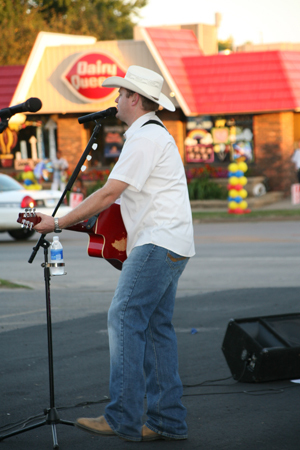 Open from 10 a.m. – 11 p.m.